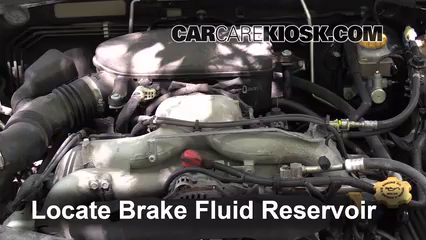 Fix Coolant Leaks: 2005-2009 Subaru Outback - 2009 Subaru Outback 2.5i Limited 2.5L 4 Cyl. 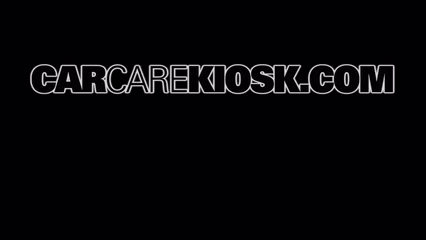 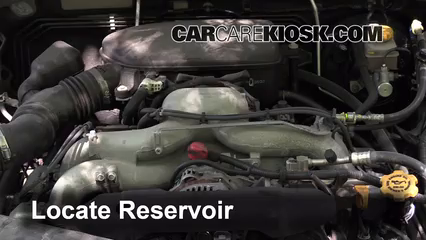 Follow the steps in this video to see how to fix minor coolant (antifreeze) leaks in your 2009 Subaru Outback. 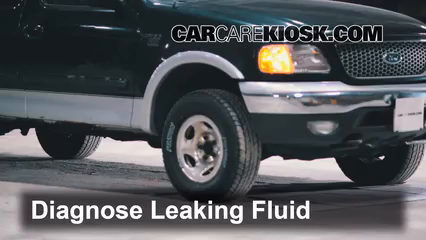 Leaking coolant is one of the more common types of fluid leaks on Outbacks. 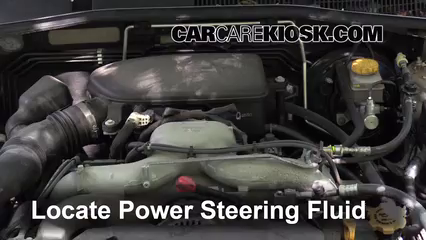 Engine coolant (which is also called antifreeze or anti-freeze) moves through the inside of your Outback's engine and keeps it from overheating. 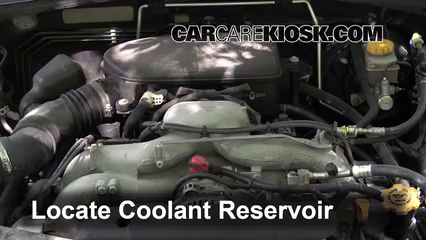 Coolant can leak from the reservoir or from the hoses, in 2009 Outbacks with the 2.5 liter engine, coolant leaks are most likely to occur where the hoses connect to the engine. 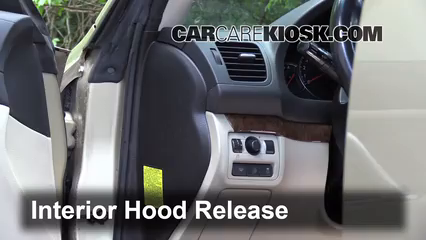 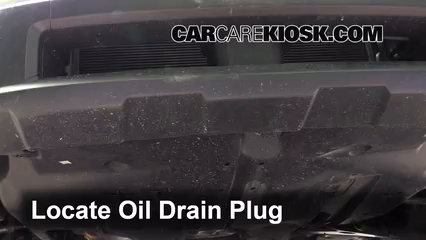 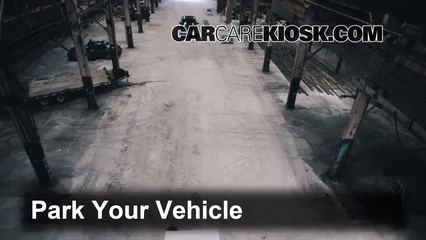 The video above shows you where the coolant reservoir, hoses and connections on your 2009 Outback 2.5i Limited are located and the steps needed to fix minor leaks. 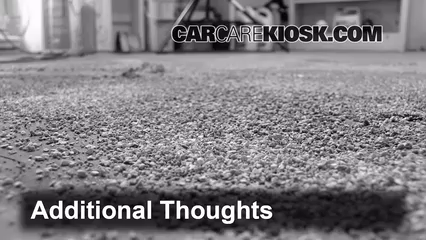 A few things to note about coolant is that it is sweet tasting and highly toxic, so it can end up in the dog's stomach pretty quickly. 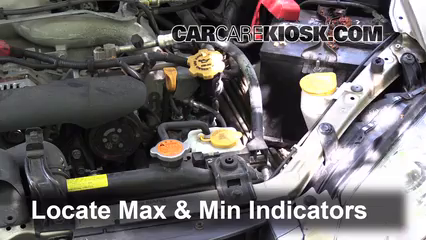 If you ignore a small coolant leak long enough, you will run out of coolant, which leads to an overheated engine and other serious, but highly avoidable, problems. 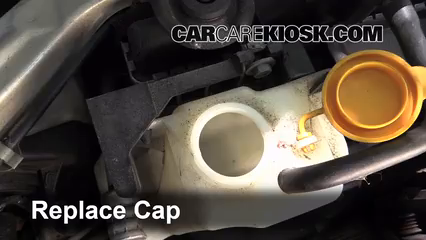 In many 2009 Outbacks, an anti-freeze leak can cause the temp sensor to record high engine temperatures. 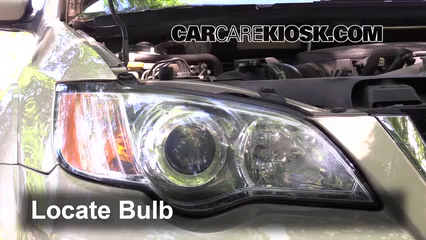 Always protect yourself with safety glasses and gloves when working with the coolant on your Outback. 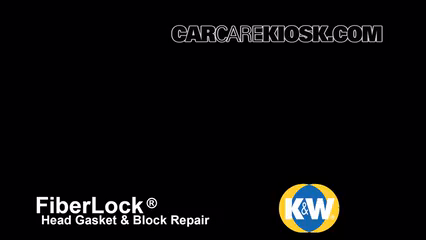 2009 Subaru Outback 2.5i Limited 2.5L 4 Cyl.